The Unidentified Redhead by Alice Clayton is one of the best Contemporary Romances I've read in a long time. It's been on my wish list ever since Patti over at Book Addict reviewed it last year. A few weeks ago when Larissa at Larissa's Bookish Life, who I don't think have ever seen review a Contemporary Romance before gave it glowing review I knew I had to give this book a try. I'm so glad I did. This book was laugh out loud funny, and Jack is just so swoon-worthy! Grace is giving her dream of acting one more try. She went to Hollywood after college with her best friend Holly, but gave up on making it big after having one too many temp jobs to pay the rent. Now 33 she fears it might be too late for her to really find stardom, but knows she owes it to herself to give her dream another shot. Grace is discussing which Corey is hotter (Haim or Feldman) with one of her guy friends when the next it boy, Jack interrupts the convo and cute banter ensues between the two. What Grace doesn't realize until much later is that she was talking to the next big thing in Hollywood. Jack and Grace keep running into each other because he's represented by Holly, and I loved how even though the attraction was there Grace didn't immediately cave into Jack. However, once Grace does decide to finally give into her feelings for Jack, I fell in love with their romance. It was just so fun! The two had issues to deal with-the fact that Jack is younger then Grace, Paparazzi, and the how can we be attracted to each other when we first met issues, but you know what? Everything just worked in this book. The only teeny tiny issue I had was that the second half of the book lost some of the humor of the first half, and I thought Grace leaving for New York took forever. 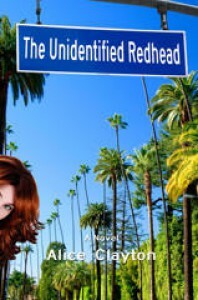 The Unidentified Red Head is one of the best Contemporary Romances/Chick Lit books that I've read in a really long time. 5. Johnny Bite Down. How great of a nick name is this for Jack? 4. The bird poop moment. Not many girls could handle getting pooped on by a bird while making out on a beach. I could totally see it happening to me. 1. Jack. This is one Brit who is making my book boyfriend list.